I got a lovely surprise when I was awarded Highly Commended at the Hadley's Art Prize. I was pretty excited to be hanging in this award with some amazing Australian artists (including a few of my art heroes). This luscious and confident landscape lures you into the beauty of 'The Neck' on Bruny Island. Judges described the paint handling as masterful, behind this mastery is the artist's acknowledgement that this place has a dark past. 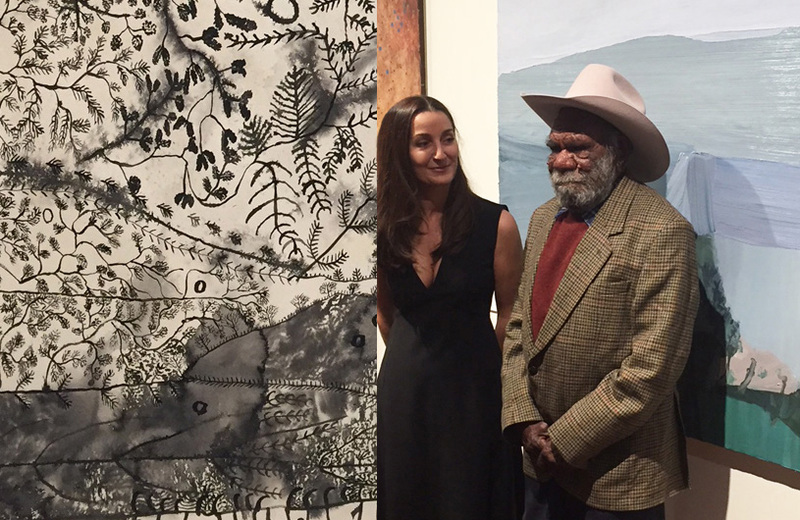 (right) Standing in front of my painting 'The Neck' with the $100,000 Hadley's Art Prize winner Peter Mungkuri.